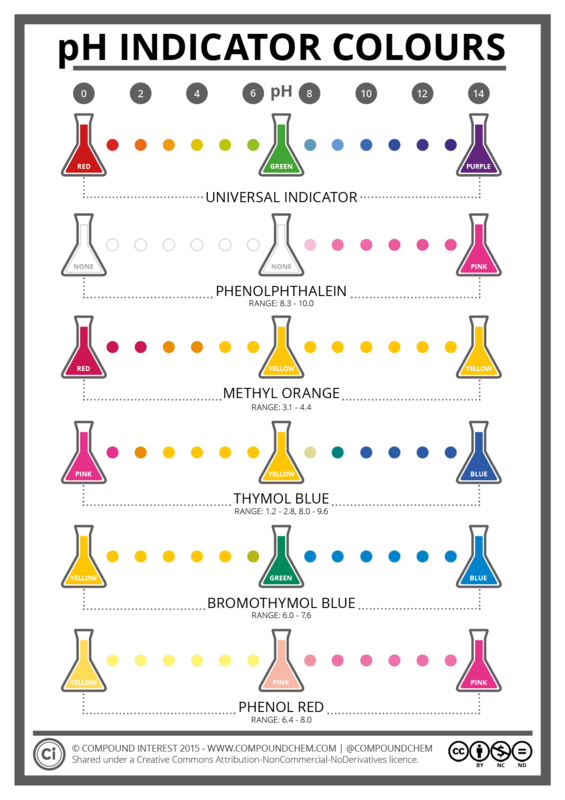 Most of us, chemists or otherwise, have probably come across pH indicators at one point or another. 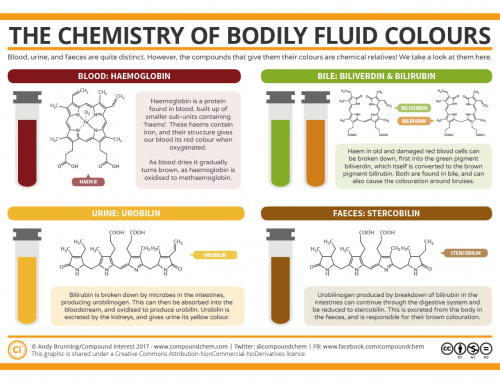 I’d be surprised if there’s anyone out there who hasn’t, back in school, carried out the standard experiment of adding universal indicator to a variety of household liquids to identify them as acidic or alkaline. 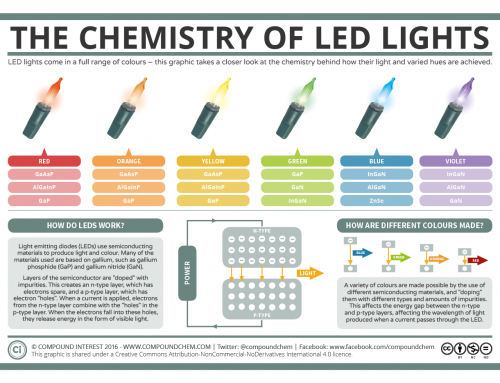 You might not be aware of the large range of different indicators that can be used to identify varying pHs, however, or the reasons behind the colour changes observed. 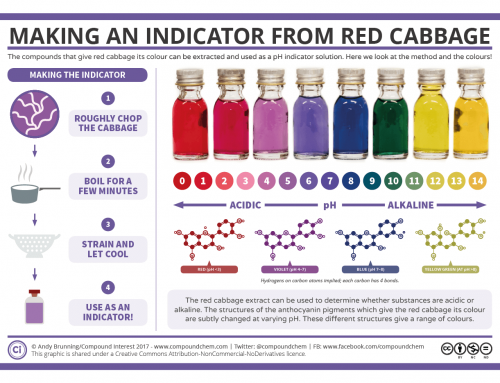 Firstly, it might seem a little odd that different indicators are even required, considering that universal indicator gives us a broad range of colours across the pH scale. However, universal indicator gives us a range of gradual colour changes, across a range of pH, rather than clearer ones at more specific pH ranges. 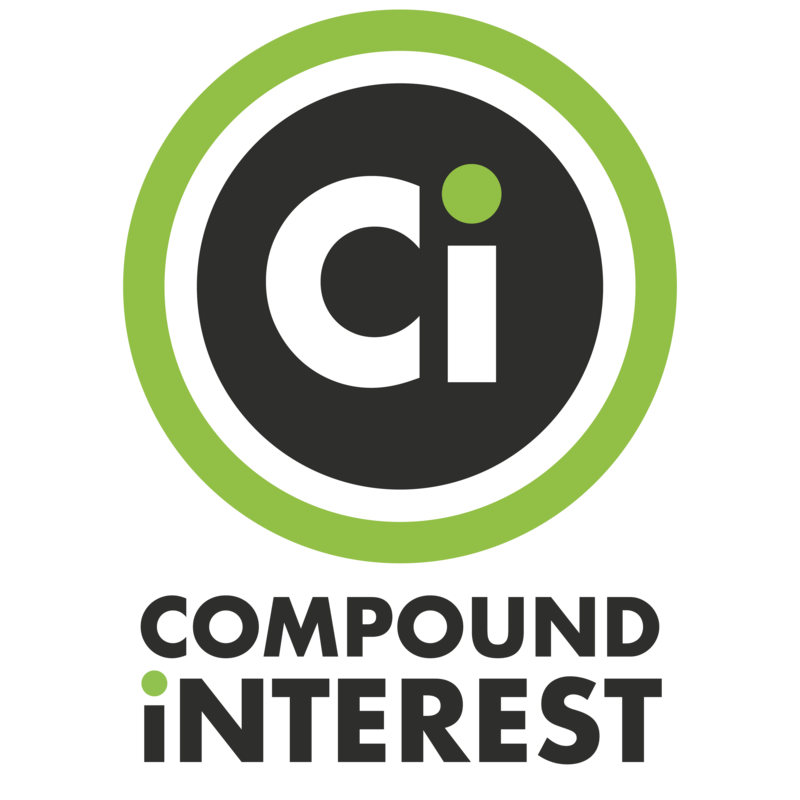 When trying to completely react a certain amount of acid with an alkali, we want to know when we’ve added the exactly correct amount of alkali, for instance – this is called the equivalence point. Here, universal indicator wouldn’t be much use. Now, depending on the acid & alkali being used, the equivalence point may well be at a pH that isn’t actually neutral. 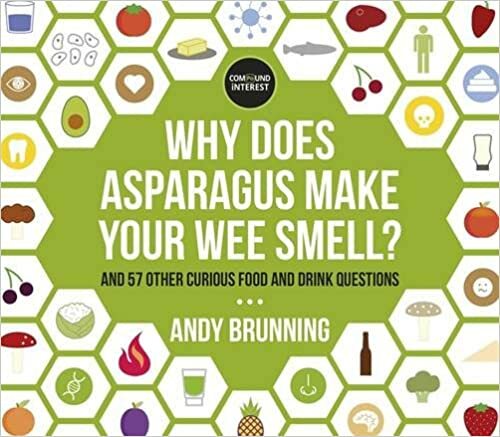 In some cases, it may well be, but in other acid/alkali reactions, some of the products formed might be slightly acidic or alkaline, meaning that the equivalence point isn’t actually the same as the neutral point. In these cases, we need to use an indicator that changes colour at a pH very close to the equivalence point – and this is where our different indicators come in. You’ll notice in the graphic above that the different indicators have different ‘ranges’ – pH numbers over which they gradually change colour. This makes them useful for different reactions between acids and bases, which have different equivalence points; these are usually carried out as titrations, so the exact amount of one reactant added to the other can be monitored. For example, phenolphthalein has a range of 8.3-10.0, and is useful for the titration of a strong acid with a strong alkali, or a weak acid with a strong alkali. Methyl orange has a range of 3.1-4.4, and is useful for the titration of a strong acid & strong alkali, or a strong acid & weak alkali. So, different equivalence points explain why we require more than one type of indicator solution – why, then, do we observe these colour changes in the first place? Firstly, it’s useful to understand what the pH scale is actually measuring. In a simplistic sense, it measures how acidic or alkaline a substance is – however, what the pH scale actually is is a logarithmic scale for measuring the concentration of hydrogen ions in a solution. This means that, for every number you go down on the pH scale, the concentration of hydrogen ions increases by a factor of ten. The higher the concentration of hydrogen ions in a solution, the more acidic the solution is. These alternating double/single bonds can absorb wavelengths from visible light, making them appear coloured. In acidic solutions, the large number of hydrogen ions already in solution means that the molecule will not dissociate much, and so the colour seen will be that of the original indicator molecule. 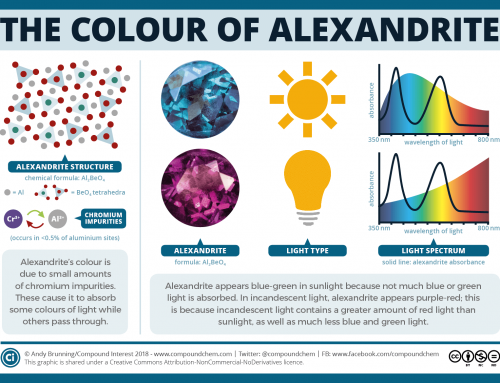 In basic solutions however, the comparative lack of hydrogen ions in solution leads to the molecule losing a hydrogen ion; this, put simply, changes the arrangement of electrons in the molecule, causing it to absorb different wavelengths of light and appear a different colour. It’s not only set chemical indicators that can be used to indicate pH changes. 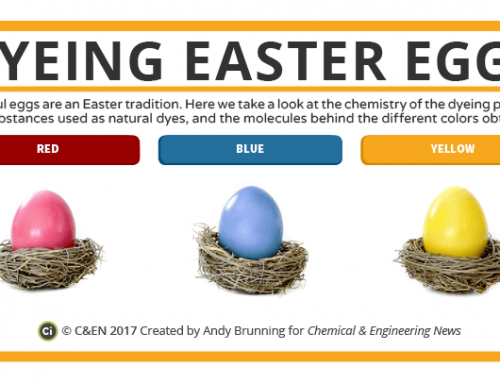 Chemicals found naturally in various plants can also be used – for example, anthocyanin compounds in red cabbage, or those in poinsettia (mentioned in a previous post). These work on exactly the same basis. Available to purchase as an A2, A1 or A0 poster here.